Bollywood superstar Shah Rukh Khan is someone who is not only having the fan following outside but also in the industry. The filmmaker Anurag Kashyap who is famous for making unconventional films like Gangs of Wasseypur series and others first time has spoken about his craze for Bollywood's King Khan. 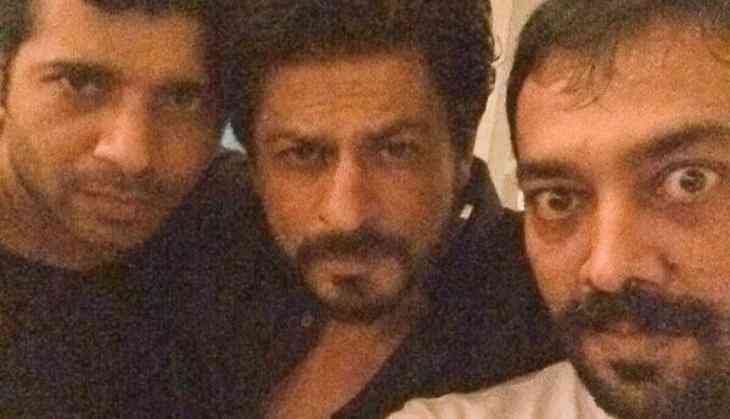 Talking about SRK, Anurag Kashyap said he is my college senior and I can fight with the whole world but now with him. If he someday scolds me I will just take my corner and start crying. Anurag also shared her dream of working with Shah Rukh, he said that till he will not do a film with King Khan he will not leave Bollywood. He shared that not John Abraham but actually Shah Rukh was the first choice of the film and they both even decided to work together happily. Later Anurag felt that John will be more fit for the role, not SRK and King Khan was very upset with this decision of Anurag Kashyap. Later again they both started working on a project but due to some difficulties, it didn't happen. Now Bombay Velvet filmmaker says that now I want to write a script for SRK that when she read just come to me and orders me to cast him in that film. Also Read - Padmaavat vs Padman: Know why Akshay Kumar's film is already a winner in front of Bhansali's film? Anurag Kashyap also told that in the starting when he went to SRK, Jab Tak Hai Jaan star told the filmmaker to do whatever I am saying but he replied that I just want to make it on my own and SRK always had helped him in his career.